Designed for heavy duty industrial use, including belt drive applications. plants, mines, construction sites and irrigation. "Automatic Water Pressure Systems" provide rugged design, exceptional quality, high reliability with a 2 year warranty. The systems provide ease of installation and operation. Presscontrol systems for excellent pressure and flow control without a pressure tank. Anti-corrosion tanks with fixed Butyl diaphragms. Suction - screwed 25NB (1" BSP) female. Discharge - scrwed 20NB (3/4" BSP) female. The "NA" Submersible Pumps provide the quality, durability and reliability for vital community water supplies, large rural irrigation schemes, turf watering installations and stock watering plants which source water from underground supplies. Heavy duty top bearing (NBR + 304 stainless steel) with an intermediate bearing at each stage. 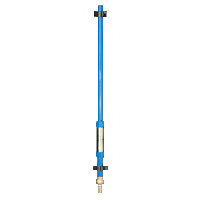 Turbine Pumps suit boreholes of 152mm (6 inch) casing or larger and have capacities of 4 to 63 litres per second (3,000 to 50,000 gallons per hour). Can't open the brochures ? 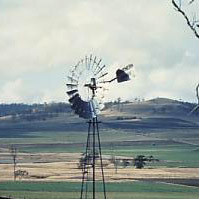 Southern Cross started producing Windmills in 1876. The first Windmill was constructed mainly of wood. 6'(1.8mt), 8'(2.4mt), 10'(3.0mt), 12'(3.6mt), 14'(4.3mt). Towers are optional 3 or 4 post. Heights range from 20'(6mt) to 60'(18mt).